The day has finally come. 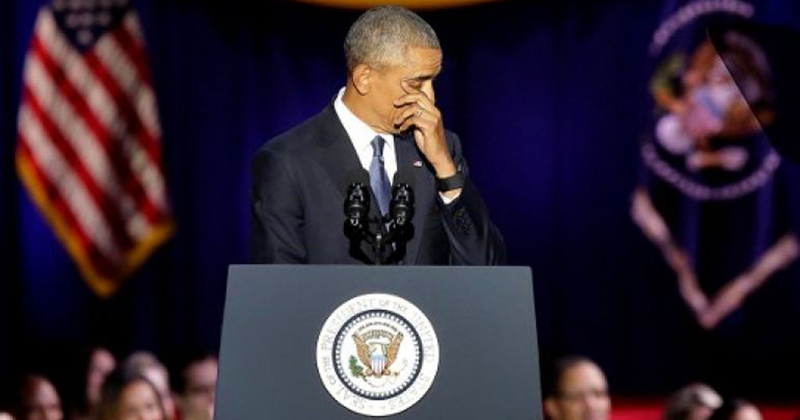 Barack Obama has officially stepped down as President of the United States after two terms spanning eight years. His successor, president-elect Donald Trump has been waiting on the sidelines after his landslide win over Hillary Clinton in November’s US Presidential Elections. Yesterday, for one last time, the spotlight was once again cast upon the 44th POTUS as he delivered his farewell address in his hometown of Chicago. His full speech was almost an hour long, so we’re here to give you a TL;DR version of what he covered. After eight long years, this is a belief that President Obama has stood by till today. Giving examples from the founding of the US, the various wars that the US Army was involved in, to just ordinary people, all of them have one thing in common – the ability to reach for the ballot and make a stand. The US remains the one of the most respected, powerful, and wealthiest nations in the world. Ever since the previous recession which started in December 2007, America also remains the country that has made the largest recovery in the world. Under his administration, the US has seen 75 straight months of job growth, the best on record adding 2 million jobs in 2016 alone, while employment rate is at a ten-year low at 4.7%. And it’s not just jobs alone that has grown, healthcare has also been made more accessible through the Affordable Care Act – more popularly known as “Obamacare”, with 20 million people gaining health insurance that they otherwise will not get on their own. Healthcare in the US has also seen the slowest rise in cost for the past 50 years. Throughout his address, there was zero direct mention of the in-coming President-elect, though the audience booed every time it was implied. As with Presidents before him, Obama will ensure that there will be a peaceful transfer of power to the next elected president, and that his team will ensure that the transition for the new team will be just as seamless. Nonetheless, the out-going POTUS used his last speech to remind the American people that the country is only as strong as its people, and that they should not put the blame on the leaders that they elect without examining their own role in electing them. During his term in office, the US has reduced the amount of oil imported from other countries by a significant number as well as increase the production of renewable energy sources, especially in solar and wind capacities. Even though there was progress, he cautioned that unless bolder action was undertaken, the next generation will be the ones dealing with the effects of climate change, of not just environmental disasters, but also economic disruptions. He stresses the need to find a solution to this problem or risk betraying not just future generations, but also the spirit that America was built on, if climate change as a problem is denied. Social attitudes towards people of different ethnicity and skin colour while better isn’t anywhere near where it should be. Studies have shown that 48% of Americans view relations between the races as “generally bad”. 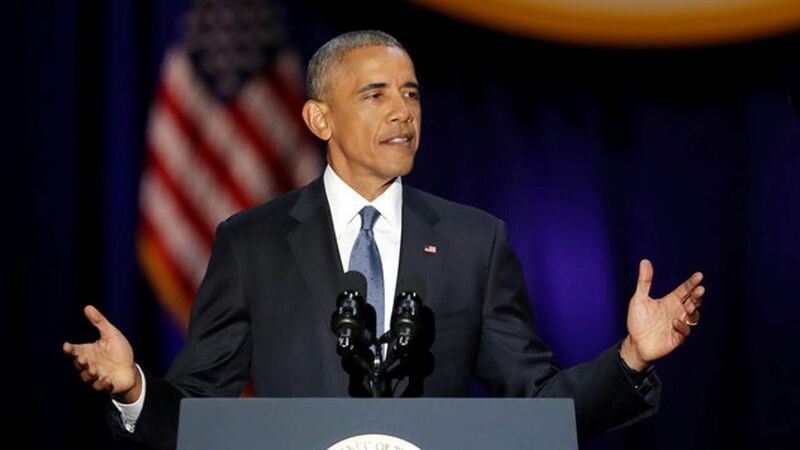 With incomes rising across the board last year for all races, all age groups, and for both men and for women, Obama is calling for a need to uphold the laws against discrimination in hiring, housing, education and in the criminal justice system. And this is only within the three main demographics within the US, namely Whites, Blacks, and Hispanics. Admittedly perspectives cannot be changed overnight, and with the addition of immigrants, the problems compound. People forget that the Whites in America today are also made up of immigrants themselves – the Italians, the Polish, and many other central and eastern Europeans. These same people suffered anti-immigrant sentiments in the 1800s and early 1900s, yet today are all considered Americans. 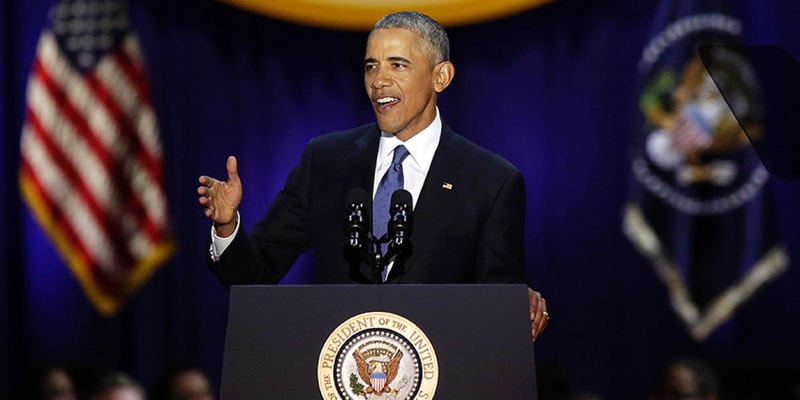 Today, that problem is faced by recent immigrants who have made America their home, and as Obama pointed out, their children will make up a significant figure of America’s future workforce. Some might argue that Obama’s decision to reduce and recall military forces in the Middle East, in troubled countries such as Iraq and Afghanistan, may have given opportunity for the rise of the Islamic State. Still, the US Army has been instrumental in the global coalition against the Islamic State, taking out key leaders in the terrorist organisation, and capturing half of the land previously occupied by militants. Obama was also quick to remind Americans that democracy is not just a responsibility carried out by the military, as citizens must also do their part in remaining vigilant against external aggression, while preserving who they are – to reject discrimination against Muslim-Americans, and to expand democracy and human rights, women’s rights, and LGBT rights. 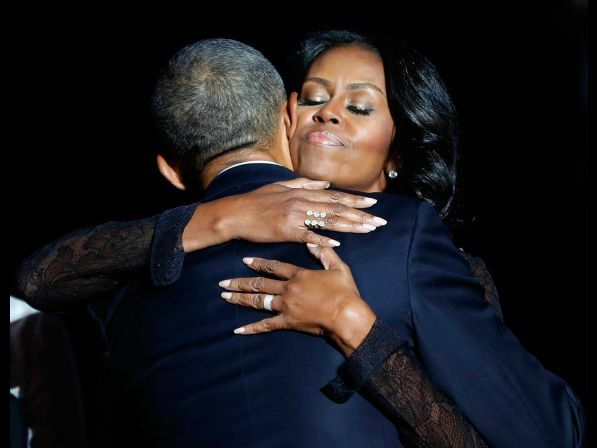 As Obama winded down his address, he ended it with a long list of heartfelt thank yous. First, to his wife of 25 years and outgoing First Lady, Michelle Obama, as well as to his two daughters Malia and Sasha. He also thanked his Vice President, Joe Biden, who had grown to become more than just a colleague and friend, but also a brother. His staff of 8 years also got an honourable mention. President Obama has always had a close relationship with everyone he worked with in the White House, and would often use whatever was left of his personal time to help them out. Just this past weekend, he was a groomsman at his aide’s wedding. 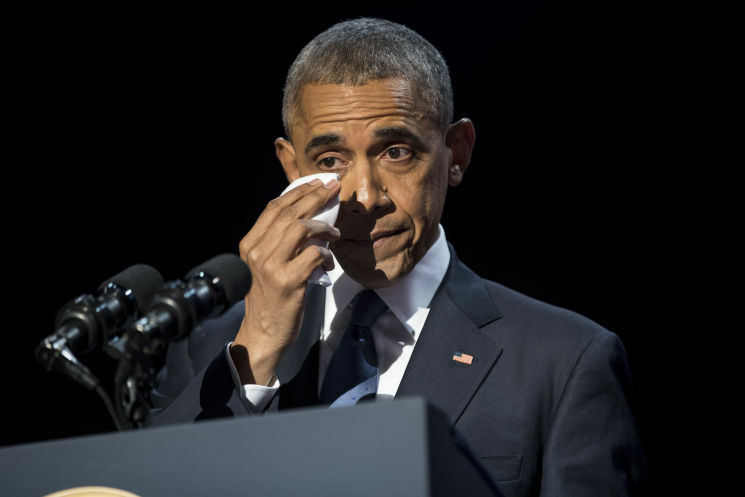 And lastly of course, he thanked all his fellow Americans, for believing in him when he first stepped into the Oval Office, as well as the support received for the past 8 years. The coolest POTUS ever has officially left the White House and America, as well as the rest of the world, will miss him greatly. Well, at least he will still remain in Washington, so drop by into the state if you are in the US. 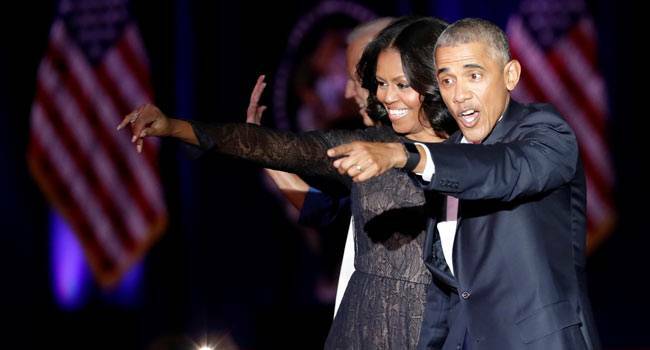 Ex-President Barack Obama may just drop by a local burger joint or two, like he usually would.